Click the following link for Information about places we go to and how to get there. Each workday has a leader who co-ordinates the day. Group members contact the leader if they wish to attend. If you are interested in coming along please see our EVENTS page, choose a workday and Contact Us for further information. We try to share transport if possible, the workday leader will let you know if there is transport from your area. We meet at 10.15am at a pre-arranged location and we start work at around 10.30am. 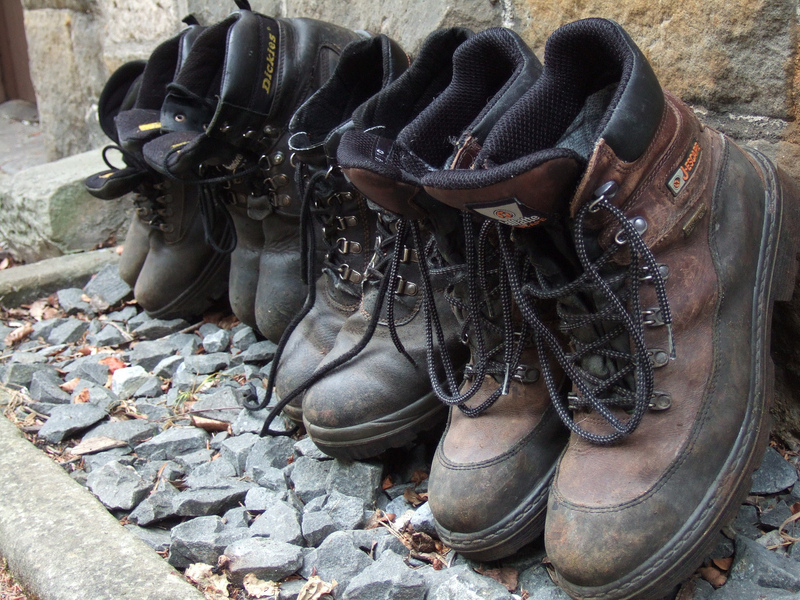 Tools and training are provided but you should bring suitable clothing for the time of year and wear appropriate footwear (workboots, stout shoes or wellies). Garden or work gloves are useful. We work in most weathers so waterproofs are a must. Bring a packed lunch and drinks – enough fuel to see you through the day, although there is usually cake to boost your energy levels! The National Trust offer travel expenses to cover fuel for your own transport or for public transport. If you volunteer with the group for 50 hours or more during the year (beginning of March to end Feb of the following year), the National Trust will reward you with a Volunteer Card. This allows you free entry to National Trust properties and also gets you 20% off in shops and tearooms. Get in touch, roll your sleeves up and enjoy some hard work and fresh air.